The AN-M-FE2005-I are standalone 5-port manged Ethernet switches and operates in store and forward mode. AN-M-FE2005-I have a lot of rich feature for different applications, include router application, firewall, IEEE 802.1Q, IGMP snooping, policy-based QoS. It provides powerful QoS function,include traffic policy, traffic meter, and flexible queue scheduling (WRR/WFQ/SP). 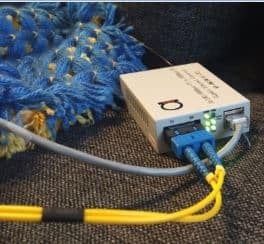 In virtual LAN, IP175DLF support port-based VLAN and IEEE 802.1Q tag-tagged VLAN (up to 16VLAN groups). The AN-M-FE2005-I are standalone 5-port manged Ethernet switches and operates in store and forward mode. AN-M-FE2005-I have a lot of rich feature for different applications, include router application, firewall, IEEE 802.1Q, IGMP snooping, policy-based QoS. It provides powerful QoS function,include traffic policy, traffic meter, and flexible queue scheduling (WRR/WFQ/SP). In virtual LAN, IP175DLF support port-based VLAN and IEEE 802.1Q tag-tagged VLAN (up to 16VLAN groups). With the broadcast storm protection function support AN-M-FE2005-I increase the reliability and availability of your industrial Ethernet network.Models with an wide operating temperature range of -40 to 85°C are also available, and the switches support advanced management and security features, making the AN-M-FE2005-I switches suitable for any harsh industrial Environment. 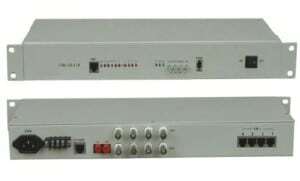 AN-M-FE2005-I series switches can be installed easily via DIN-Rail or in a distribution box.